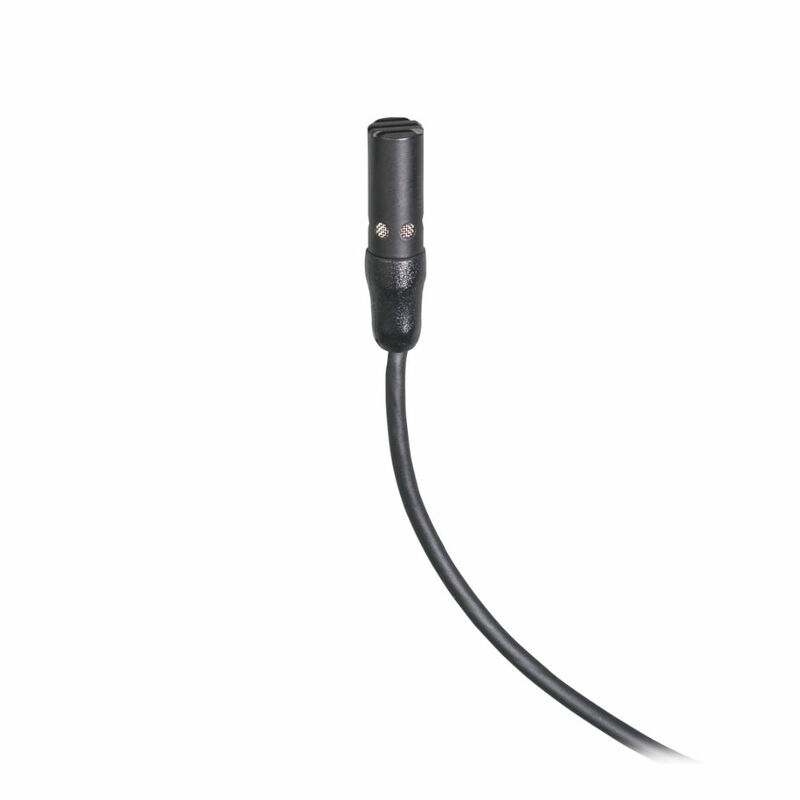 Designed to be worn as a lavalier or hidden in clothing, Audio-Technica's discreet-design cardioid AT898 offers maximum intelligibility, accurate voice reproduction and unobtrusive appearance for use in houses of worship, broadcast studios, theatres, etc. 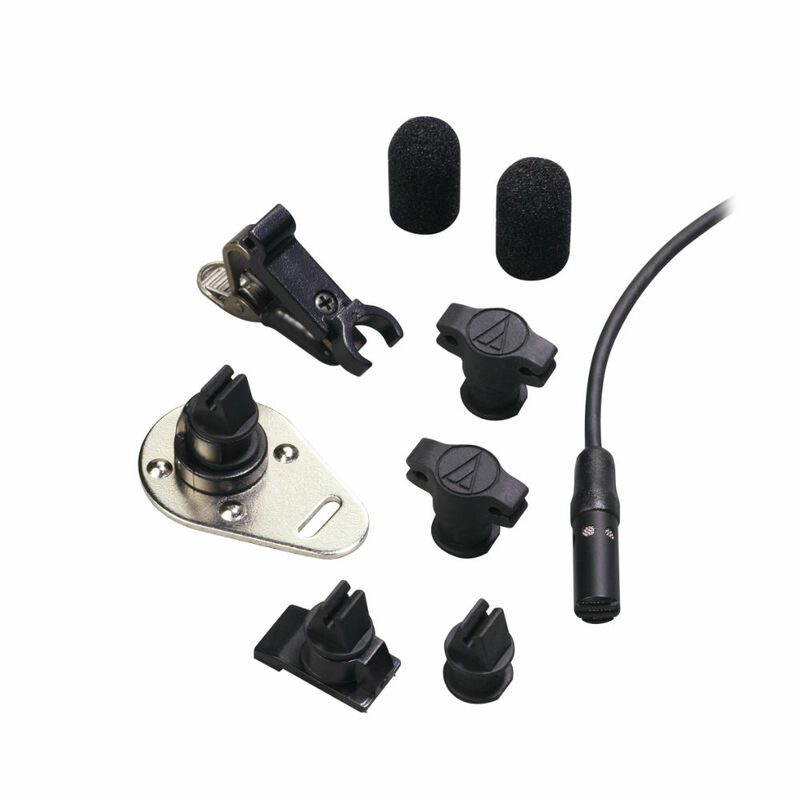 Its switchable low-frequency roll-off reduces sensitivity to popping. Battery or phantom power. Maximum Input Sound Level: Phantom: 131 dB SPL, 1 kHz at 1% T.H.D. ; Battery: 115 dB SPL, 1 kHz at 1% T.H.D.